Make label creation a breeze. Identify and organize quickly and professionally. 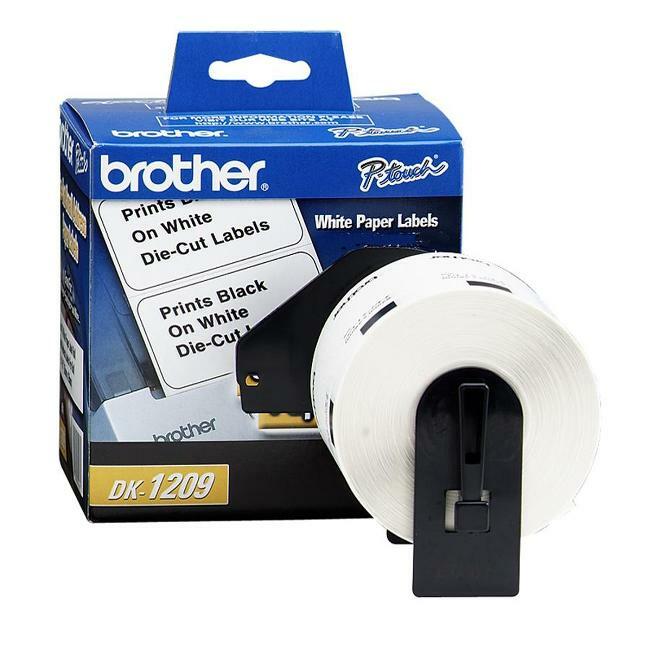 Die-Cut paper labels are for use with Brother P-touch Label Printers QL-500, QL-550, QL-570, QL-650TD, QL-1050 and QL-1060N. Return/address/general office use labels are made of Dura-Coated Paper. You can print labels directly from Microsoft Word, Excel or Access with just a click. Or have fun and get creative using Brothers intuitive label design software. 800 labels per roll.